There’s really few Caribbean artists in European festivals, but several artists who perform there have sampled and used Caribbean rhythms. 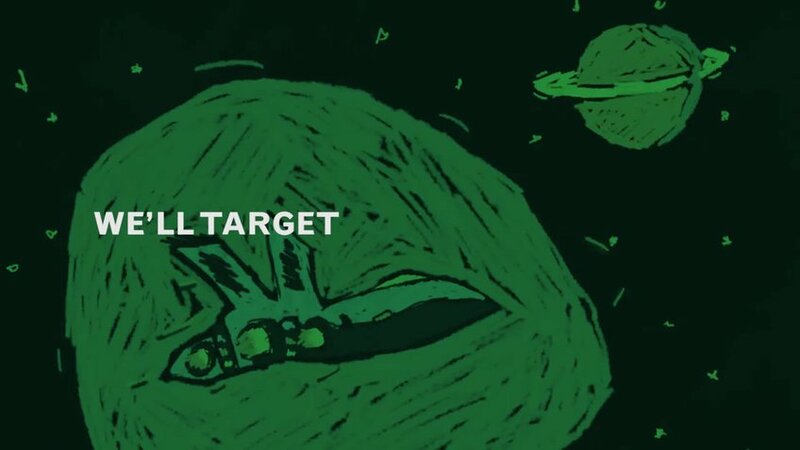 Since we can’t bring Caribbean artists to the festival, we’ll bring them to every home by hijacking YouTube. 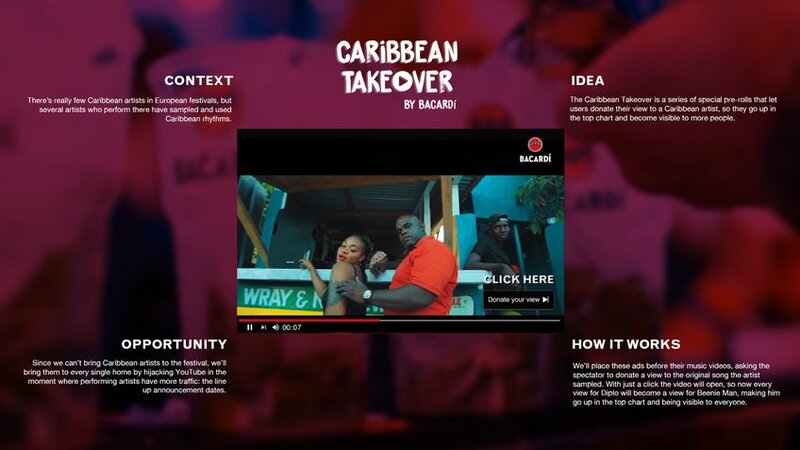 The Caribbean Takeover is a series of special pre-rolls placed in the artists’ from the line up videos, where we ask to the spectator to donate their view to the sampled song. 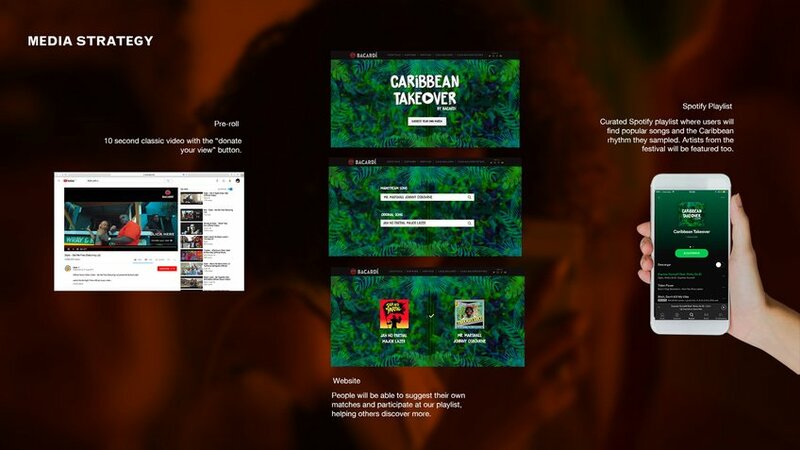 With this, Caribbean artists will go up in the top chart, being visible to many more all year long.